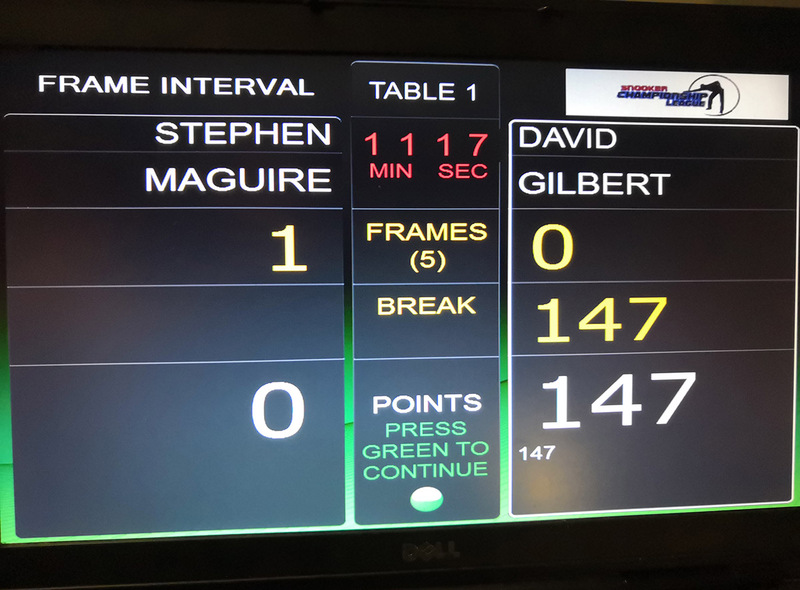 The first official maximum was made by Steve Davis in 1982, and 37 years later Gilbert has brought the number to 147. Gilbert’s break came in the second frame of his match against Stephen Maguire in Coventry as he potted 15 reds with blacks and cleared the colours. It turned out to be the world number 19’s only frame of the match as he lost 3-1. It’s Gilbert’s second career 147; his first also came in the Championship League, in 2015. And it’s the eighth maximum made this season. The paradigm of perfection for any snooker player is to clear all 15 reds with blacks and then deposit the colours. 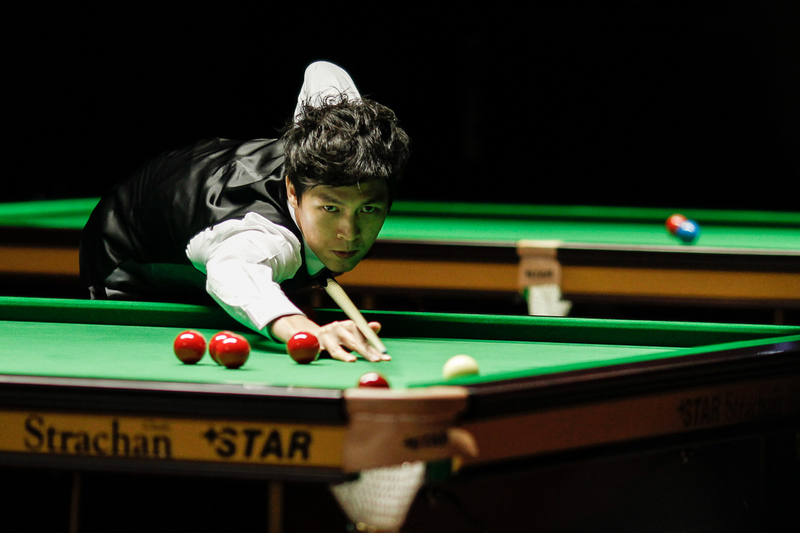 Here’s a look into the history behind snooker’s Holy Grail of break-building. Early in the 20th century, the maximum break was little more than a folk tale, with discredited rumours of sightings floating around cue sport establishments akin to talk of Bigfoot or the Loch Ness Monster. That all changed in 1934 when New Zealander Murt O’Donoghue made a 147 in New South Wales in Australia. It was witnessed by 133 people. Legendary Joe Davis made his first 147 in 1955. One of snooker’s founding fathers, Davis was already a ground-breaking individual in the history of the sport. He helped to organise the first World Championship in 1927 and bought the trophy with half of the entry fees. Davis went on to win that year and proceeded to rack up an incredible 15 consecutive World Championship wins. Davis’ maximum break came during a series of exhibition matches with Willie Smith at the Leicester Square Hall. By this point, having never lost a World Championship match, Davis had stopped playing in snooker’s biggest event so not to risk damaging his reputation with any potential defeats. The definition of an official 147 is that it is made in a professional tournament with templated pockets, and the first of those did not arrive until 1982, when another trailblazing Davis achieved the landmark feat. 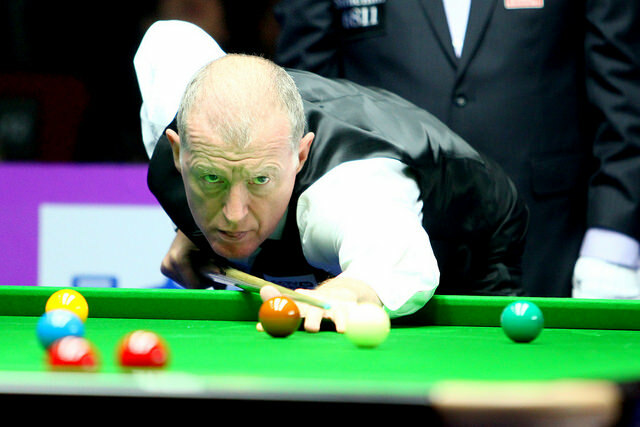 Six-time World Champion Steve Davis strung together the perfect break at the Lada Classic. For his troubles the Englishman received a Lada car as his prize. Davis’ opponent for that momentous break was John Spencer, who would have been forgiven for feeling it should have been him making snooker history. Spencer, a three-time World Champion, had already made a maximum break three years earlier at the 1979 Holsten Lager International. However, it wasn’t officially ratified as the pockets were not templated. To add insult to injury the feat was also missed by the TV cameramen, who were on a tea break at the time. Another milestone came at the 1983 World Championship when Cliff Thorburn compiled the first 147 break to be made at the Crucible. It came in the fourth frame of his second round clash with Terry Griffiths. After fluking the first ball, he meticulously picked off the remaining reds with blacks. As Canada’s Thorburn lined up the final black, commentator Jack Karnehm simply uttered the words “Good luck mate”. Thorburn deposited the ball and sunk to his knees in celebration. Thorburn’s break lasted 16 minutes and four seconds. 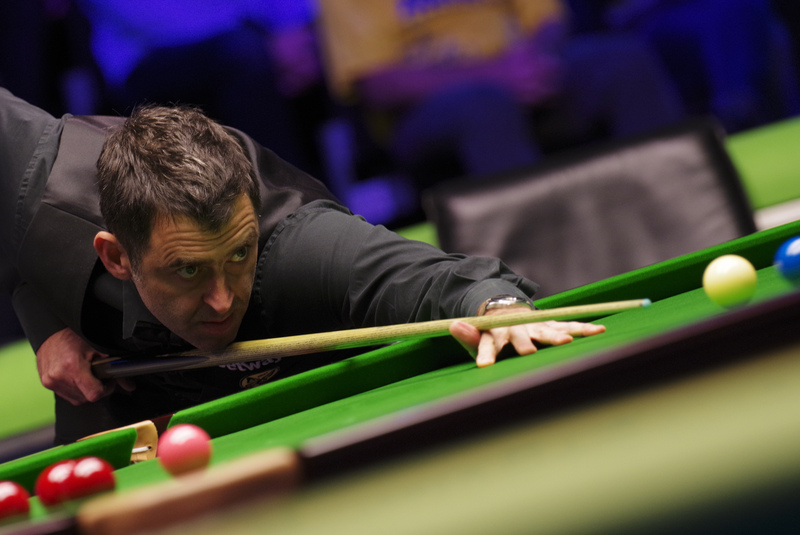 At the same venue 14 years later, Ronnie O’Sullivan completed a 147 in less than a third of that time. It was five minutes and eight seconds of pure snooker majesty. During his first round match against Mick Price, mercurial genius O’Sullivan defied common understanding of what could be achieved on a snooker table. He averaged just 8.6 seconds a shot during the 147, which was the first of a record 15 maximums he has made so far in his career. Earlier in that year the Rocket had been on the receiving end of another memorable maximum. Stephen Hendry composed a point perfect 147 break in the deciding frame of his 1997 Charity Challenge final against O’Sullivan, to take home the title with a 9-8 victory. In years gone by, when 147s happened rarely, there was a bonus of £147,000 on offer at the Crucible. Mark Williams enjoyed this healthy boost to his bank balance at the 2005 World Championship. Up against Robert Milkins in the first round, it was a match which the Welshman completely dominated. He had already established a 9-1 advantage and with only one frame required for victory, Williams set about what was the first maximum of his career. “Not many people have made a 147 at the Crucible and the prize money at that time was so high that there was a lot of pressure,” Williams recalls. “People didn’t do it because the prize was so high, but I managed to do it. Over the 37-year history of official 147s, a small handful of players have missed the final black on 140. Ken Doherty famously did so in the 2000 Masters final when an £80,000 sports car was at stake. Thailand’s Thepchaiya Un-Nooh holds the unwanted record of being the only player to miss on 140 twice. Un-Nooh is the fastest player on the circuit, topping the average shot time list this season, taking less than 17 seconds per shot. However, two rushes of blood to the head have cost Un-Nooh dearly in the 147 stakes. There was £44,000 on the line during Un-Nooh’s maximum attempt against Neil Robertson at the 2015 UK Championship. He managed to get perfectly on the last black, only to rattle it in the jaws. The footage went viral and Un-Nooh was invited on to Chris Evans’ show TFI Friday on Channel 4 to recreate the shot, which he sportingly potted before being handed a pint of lager by Harry Potter star Daniel Radcliffe. Just a few months later Un-Nooh amazingly missed the final black again, this time in World Championship qualifying against Anthony McGill, costing him a further £9,500. 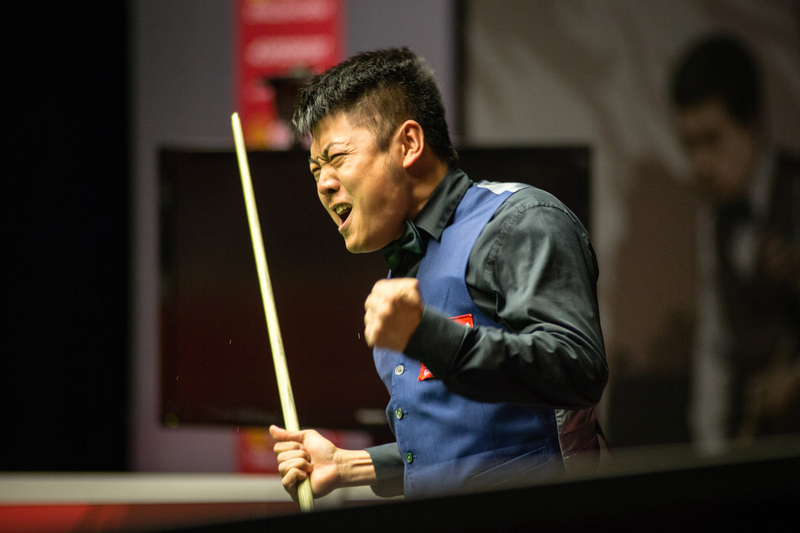 But this tale has a happy ending as the charismatic Thai went on to make 147s at the 2016 Paul Hunter Classic and 2018 English Open, earning a total of £48,500. In fact the highest possible break is not 147, it is 155 if a free ball is available before a red is potted, effectively meaning there are 16 reds on the table. While players including Jamie Cope have made a 155 in practice matches, the only player to make a break above 147 in a professional tournament is Jamie Burnett. His 148 came in the qualifying rounds of the 2004 UK Championship. Unfortunately for the Scot, he missed out on the maximum break prize which is only awarded for a 147, or if a free ball is used, a 155. Last year, Liang Wenbo came close to becoming the first player to make two 147s in the same match. He compiled the perfect break in the tenth frame of his 10-2 win over Rod Lawler at World Championship qualifying. Two frames later, Liang agonisingly missed the final black on 140. At the 2013 UK Championship, Mark Selby fired in the 100th in snooker history in his semi-final win over Ricky Walden. Six years later, Gilbert has brought us to the next landmark.